European leaders invited Trump to attend EU-US summit to determine the course of bilateral relations for the next four years. "We would like to know how things will proceed with global trade policy. We would like to know what the intentions of his relatively Alliance (NATO). We would like to know what intentions he has regarding the (NATO) alliance. We must know what climate policies he intends to pursue. 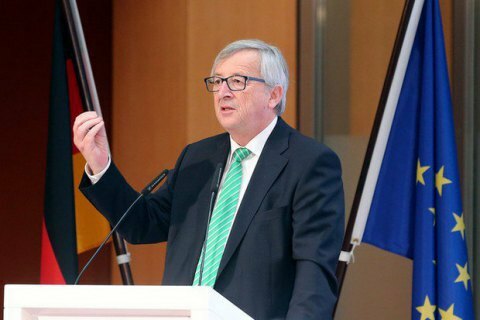 This must be cleared up in the next few months, " Juncker said on 10 November at a business event in Berlin, Reuters reported. The foreign ministers of the EU countries are set to meet on November 13 to discuss the EU's policy towards the United States under the presidency of Trump. European Council President Donald Tusk and European Commission President Jean-Claude Juncker congratulated Trump on his victory in the elections and hailed the cooperation of Brussels and Washington for the security of the eastern and southern regions of Europe. Trump won the US presidential race conquering the candidate from the Democratic Party, Hillary Clinton.